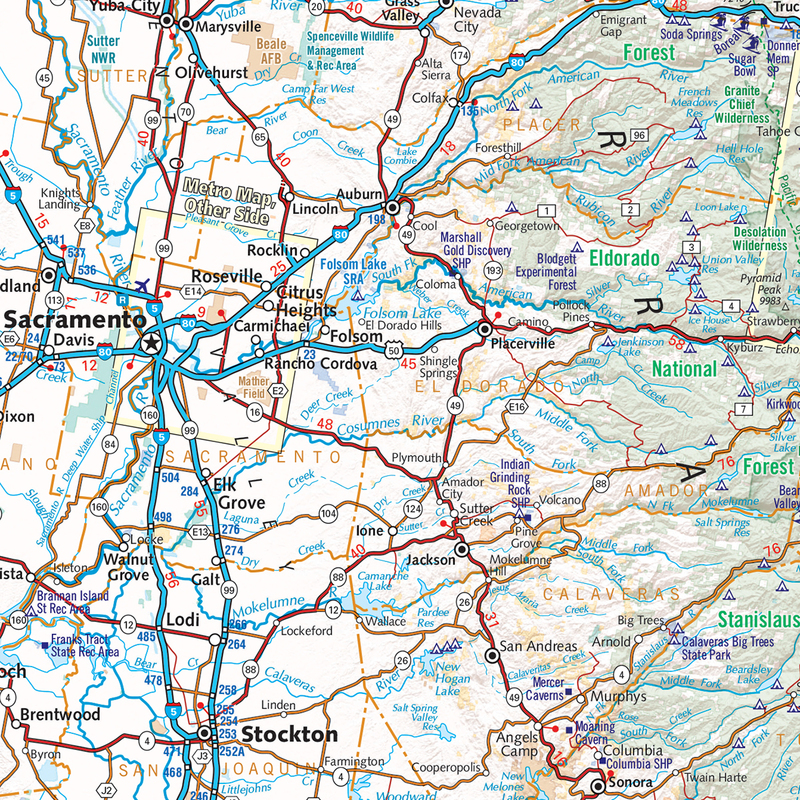 This folded map of the Golden State is the ideal companion to the California Road & Recreation Atlas. 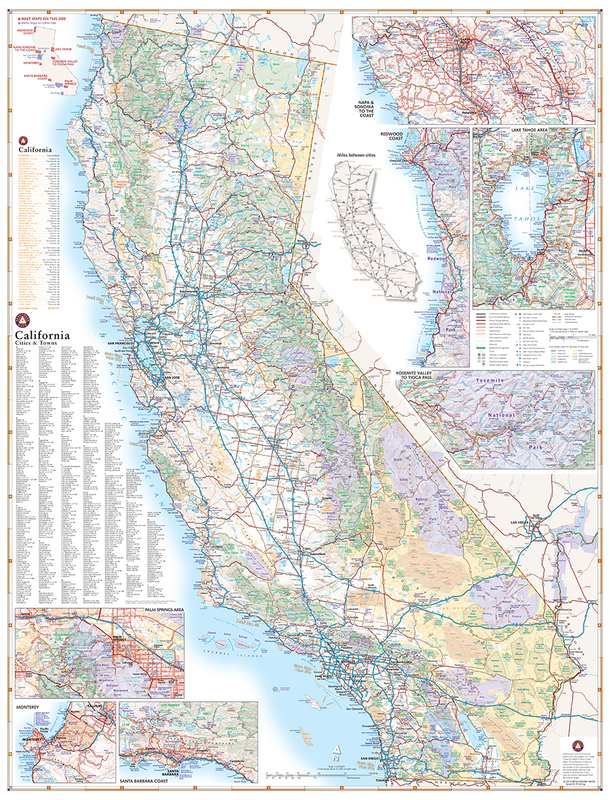 The entire state is shown on one side and is enhanced with enlargements of the Redwood Coast, Napa/Sonoma, Lake Tahoe, Yosemite Valley, Monterey, Santa Barbara, and Palm Springs areas. 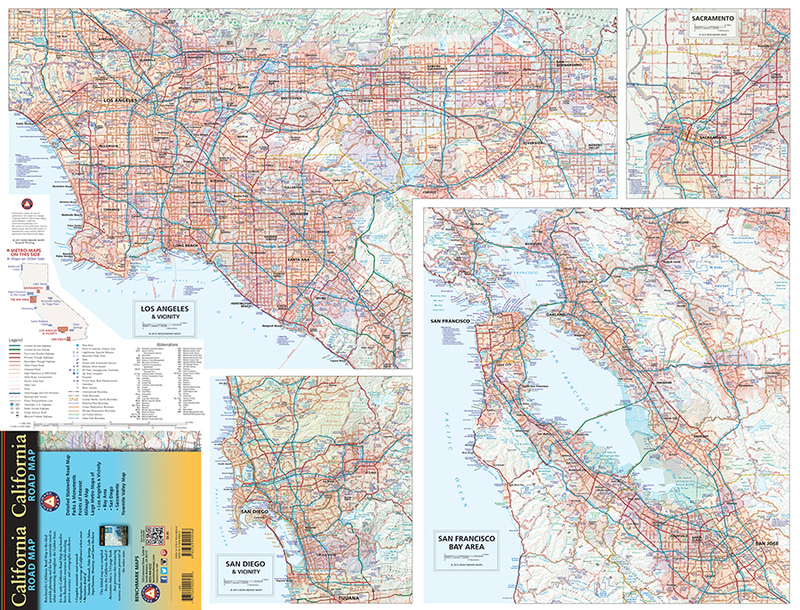 Metro areas (Bay Area, Los Angeles, San Diego, and Sacramento) are covered in detail for urban exploration. ISBN: 9780783499048 Cover:4" x 9" Sheet: 27" x 35.75"